Here are the steps to perform the jailbreak. 1. save the SHSH blob is important because it allows you to return to the firmware that you are using if Apple can no longer justify the firmware was used. It is also useful for you to restore the original firmware if the jailbreak process failed. 2. Fit down fail TinyUmbrella. After installation, open the application. 4. click the name of your devices-i in the "CONNECTED DEVICES" and click "save SHSH". Tahniah, you have save SHSH blob. Applications close TinyUmbrella. 5. open iTunes and create a backup (transfer purchases and backup). You also dinasihatkan to do a backup with iCloud. This is problematic if the safety measures during the jailbreak, could restore the original again. Malang is odorless. Close the iTunes once completed. 1. 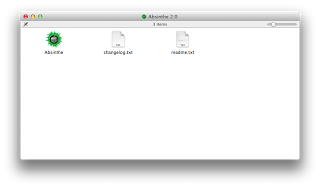 Load down files Absinthe and put it in the desktop for easier searching. Fail Absinthe is provided at the link above. 2. Open fail Absinthe. Connect peranti-i with USB cable and select the jailbreak. 3. allow the Absinthe do their jailbreak. Your device-i will look like I'm doing the restore process. 4. After peranti-i you on again, you will be able to see the icon Cydia. Tahniah! You have successfully jailbreak erantip-i . 5. go to Cydia and choose user. Let Cydia load down all fail and will once again cause peranti-i you restart. 6. Enter your desired source. This matter has been dealt with in this Tutorial.